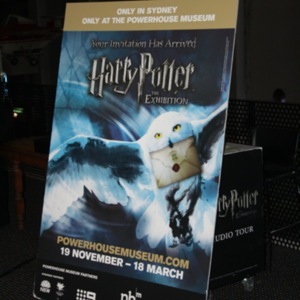 Medievalism in Australian Cultural Memory | Harry Potter Exhibition, Powerhouse Museum, Sydney. Harry Potter Exhibition, Powerhouse Museum, Sydney. One of two photographs associated with Harry Potter: The Exhibition at the Powerhouse Museum in Sydney from November 19, 2011 – March 18, 2012. This photograph shows a poster advertising the exhibition. Although set in a magical version of the contemporary world, the Harry Potter books and films feature strong medieval influences. For example Hogwarts School of Witchcraft and Wizardry is situated in a castle, in Harry Potter and the Philosopher’s Stone the characters play with a replica of the twelfth-century Lewis Island chess set and later play a life-sized version of chess with pieces based on medieval knights. The philosopher’s stone itself was sought by alchemists during the middle ages. Medieval-style characters include witches, wizards, giants, goblins, dragons, and unicorns. Due to the immense popularity of the Harry Potter series it is likely to be the first place that many people encounter medievalism and the medieval. 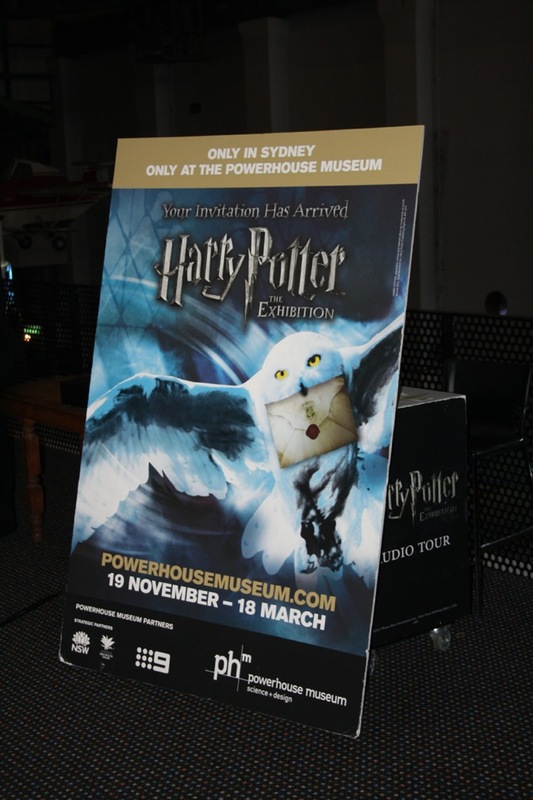 “Harry Potter Exhibition, Powerhouse Museum, Sydney.,” Medievalism in Australian Cultural Memory, accessed April 23, 2019, http://ausmed.arts.uwa.edu.au/items/show/784.